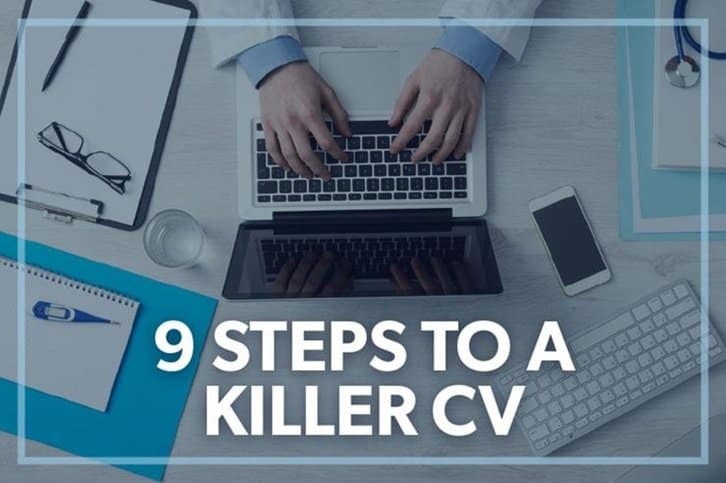 Home » Pharma Blog » 9 Steps to a Killer CV that will get you an interview! 9 Steps to a Killer CV that will get you an interview! Have you been thinking about your CV as an educational and employment biography? That’s not how you write a killer CV that’ll get you an interview. You need to think of your CV as a marketing document. The one thing that can convince someone that you might just be the perfect person for the vacancy they have. You have to market yourself as a product… the product that best addresses the problem they currently have – that open job. Every CV that lands on the desk of every recruiter is judged on how well a candidate matches the criteria that has been deemed necessary for the role. For that reason, you need to tailor your CV for every single job application. First up you need to analyze your own skills, activities, and achievements. You’re not going to use everything on every CV and application, but doing this well in the first place makes every application after, a whole lot easier. Make a list of your employment history – the company name, your job title, the dates you worked there, any promotions or achievements while you were there, and the reason you left. For each position, you should make a list of your duties and responsibilities, and what transferable skills you have as a result – check out our skills assessment template to help you with this. List out every piece of training you’ve done, with every institution. Make details such as a list of subjects, your results, and how it was useful in your work. This can seem like a huge and daunting task. But if it’s done well in the first place, every time you have a new application to make, you should be able to look at these lists and pick out examples of things that are relevant to that specific job. It will undoubtedly save you time in the longer term. What type of company or industry is it? What is the main purpose of the role and why is this role important to the company? What type of skills do they want? What personal qualities do they want? What type of knowledge or training do they want? What specific terminology did they use in their job advert? From looking at any job advert, you should be able to write two or three lines in answer to each of these questions. The purpose of this is to try to determine, at the most basic level, the things that are important to the person who is hiring. Make a list of those things. Now it’s time to match up the results from your skills assessment, to the requirements of the job advert. For every point on your list from the job advert, pick out examples from your skills assessment that shows you meet that requirement. Once that’s complete you can see how you match up against the advert requirements, and it is time to put it together into a rough draft CV. If you’ve got no idea where to start with the layout, check out our CV checklist and templates for a few ideas. You’d never turn up to an interview in untidy clothes and without brushing your hair (I hope! ), and submitting a poorly presented CV is just as bad – it’s your all-important first impression. Again, if you’re really not sure of the basics, check out our CV checklist and make sure you’re ticking all the boxes before you submit. The main thing is, your CV should be easy to read. Think of it as a picture – it should have an appealing look when held at arm’s length; not too cluttered but not too much white space. And the presentation doesn’t stop when you hit print. Make sure you use good quality white paper and post it in an A4 envelope. The envelope thing may seem a little excessive but in reality, the first thing many companies do is scan a posted CV, folds in the paper will turn out darker on a scanned copy and might end up obscuring something really important. The STAR approach is a great way to make sure you cover all important aspects of an example, particularly for an interview. But you should be thinking about it while writing your CV as well – you must be able to back up everything you claim on your CV with a STAR answer. For work experience section of your CV, in particular, make sure you use this formula to tie your history back to key characteristics that are mentioned in the advert. Action – what action did you take? Results – what were the results? Don’t just list things you did, show an employer what effect that had, what were the results? It’s also a great idea to think about your key points in this way now because the STAR approach is the gold-standard formula for providing evidence of your claims when answering competency based interview questions. At this point, the presentation check is much more focussed on fine detail – check vocabulary, spelling, and grammar. You’ve put so much effort into getting your CV to this point, don’t let avoidable mistakes ruin it all now! With a thought to vocabulary, in particular, go back to the job advert and make sure that all keywords used in it are in prominent positions within your CV. Also look to use industry-relevant language wherever possible (again, take this from the job advert). You are probably too close to your own CV now to see what mistakes you’re missing, what important things you’re leaving out and what relevant things you’re forgetting. So the best thing at this point is to get other people to look at it. Ask 2-3 family members or friends for honest feedback on your CV. Ideally, your CV should also be reviewed by someone within the industry, but we know that the chances of having that available every time you submit an application are slim! It’s much more likely that an industry contact will be able to meet with you once to give you general CV advice (and review whichever version you are using at that time). It’s important that you take notes at that meeting and ensure that every subsequent version of your CV follows their pointers. The key thing to ask an industry contact is, based solely on the information in your CV, would they hire you? What about it makes them say yes? Or what about it made them say no? But back to this regular review, it’s likely to be friends and family that will help. That’s great, they’re the people that know you best, but they’re also unlikely to want to hurt your feelings by telling you that your CV isn’t the best. Make sure they know that you’re expecting a sheet full of corrections and that you’re looking for them to try to poke holes in the content. That is the only way you will improve and it’s better to face these issues in front of friends and family than in front of an interviewer. And since you’ve made changes, go back and check presentation again and make sure that you’ve stuck to the STAR approach. Then, and only then, is it time to submit your CV for that one job advert. Of course, it would be great to think that all you have to do is sit back, wait for your CV to work its magic, breeze through an interview and land your dream job. In reality, you are going to have to go through these nine steps several times… dozens of times. Job hunting is a numbers game. To give you some idea, we typically see a trainee who is changing career need to make 100 applications, to get 15 interviews, to get one job offer. Finding a new job is a lot like having a full-time job, that’s how much time it will take. If it’s not taking you that many hours in the week, it’s likely that you’re not doing enough. Of course, that process can be demoralizing. The number of jobs you’ll just never hear anything back from can be hard to take. But the main thing to remember is that it’s not personal. There are a huge number of jobs available in pharma right now but there are also a lot of applicants. You’re not going to get the first job you apply for and you have to be realistic about the numbers of applications needed. But, if you can keep yourself motivated, and keep those tailored applications coming, you’ve got a great shot at landing a new job. The main thing to remember is that however difficult you find the job hunting process, it is temporary. You can be successful, you just have to be dedicated to this process for now. And when it comes to pharma and med device jobs, you’ve chosen a great time to job hunt! 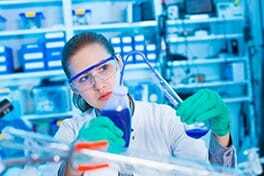 Retrain for a New Career in the Pharmaceutical Industry in 30 Weeks. Find out more about making a mid-career change with our 30-week Certificate in eBioPharmaChem conversion course. For more information on currently available Packaging Operator roles, head to our jobs boards and select Production/Manufacturing in the “Jobs by Category” menu. We currently have jobs boards for Ireland, the UK, Philadelphia, USA, and Puerto Rico.